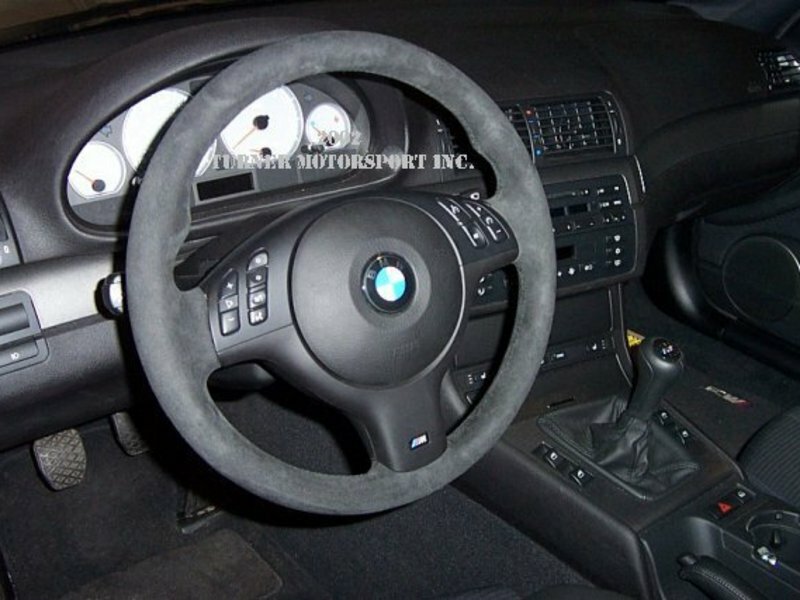 Improve the look of your interior and feel of the steering wheel in your E46-including M3 with this factory alcantara replacement. 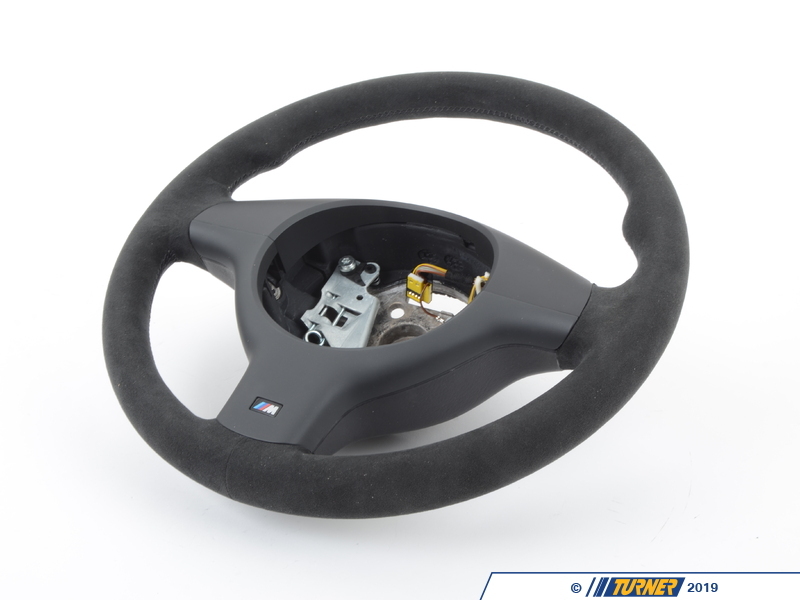 This wheel is very close to the thickness of the stock M3 wheel. 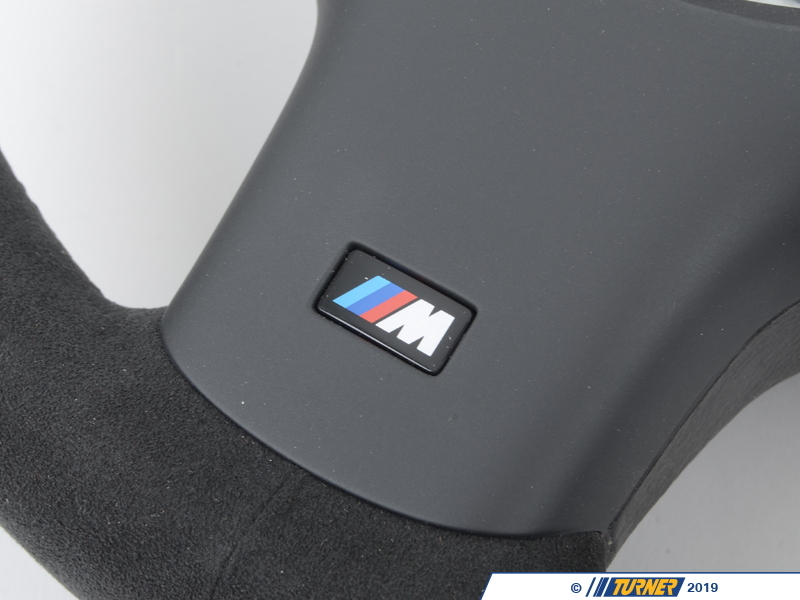 Installation is very easy. 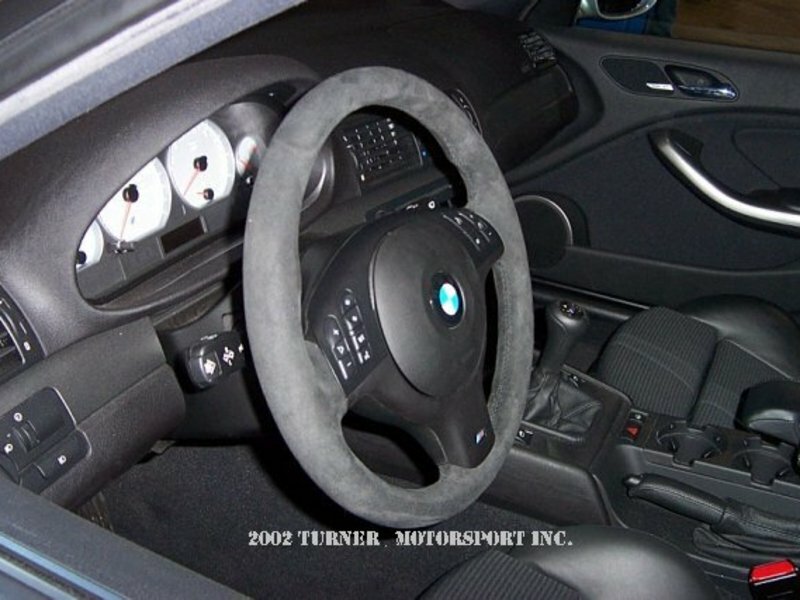 (Requires airbag swap.) Detailed instructions are included. 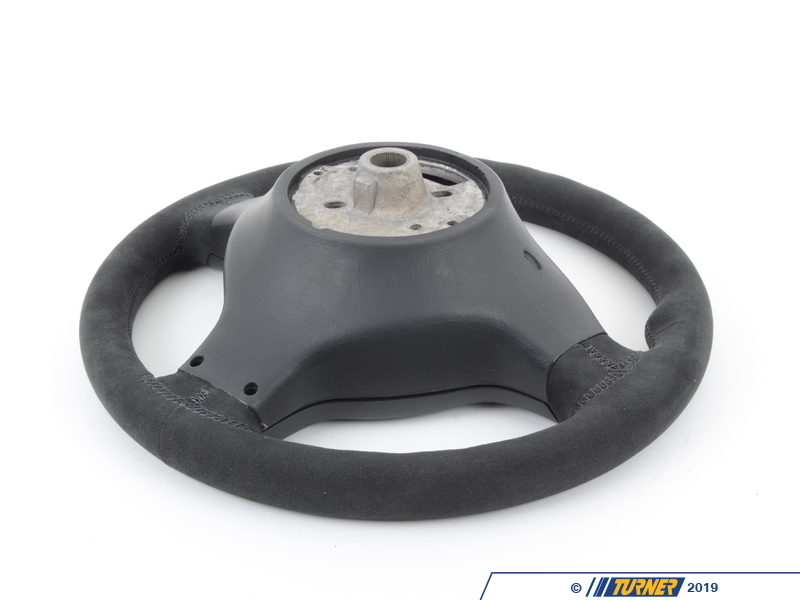 You must have similar-style 3 spoke wheel in your car to begin with to change to this wheel since airbag and multifunction button faceplate must be swapped to the new wheel.